Glass beads are not in my field of expertise. However I would like to display the few ones I have. in the low right corner of the photo from the book. 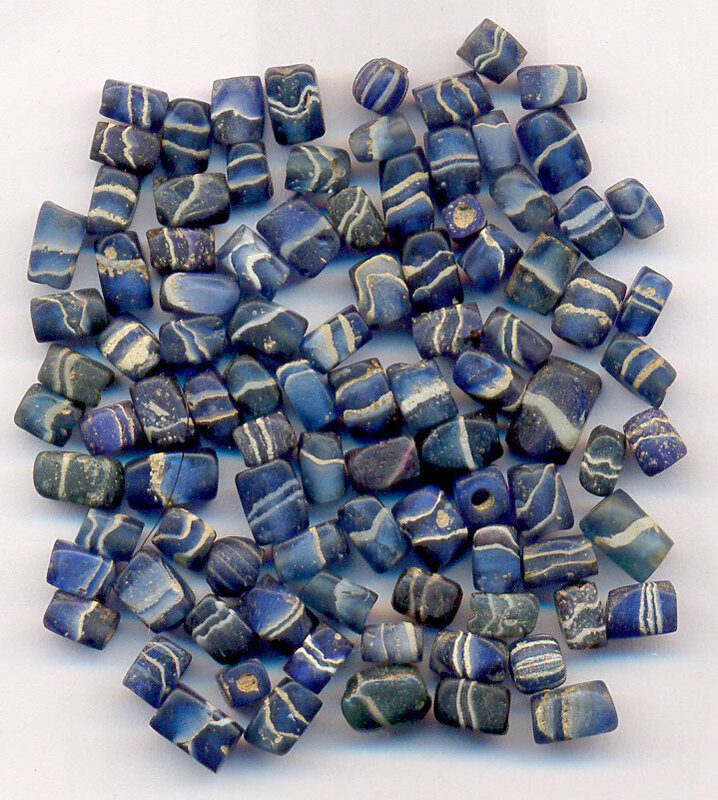 Wonderful deep blue colored glassbeads with stripes. 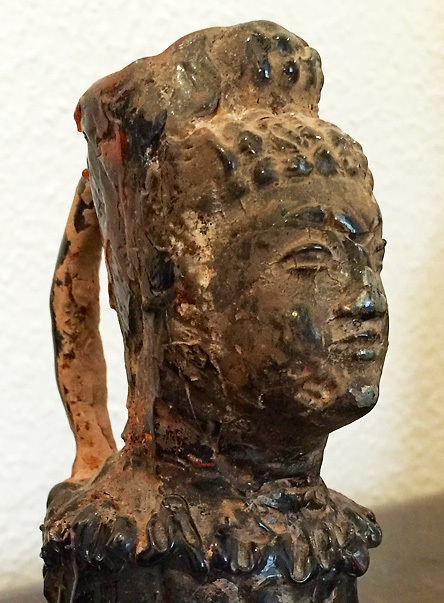 Greater India - probably Maurian Period 300 B.C. - 100 A.D. 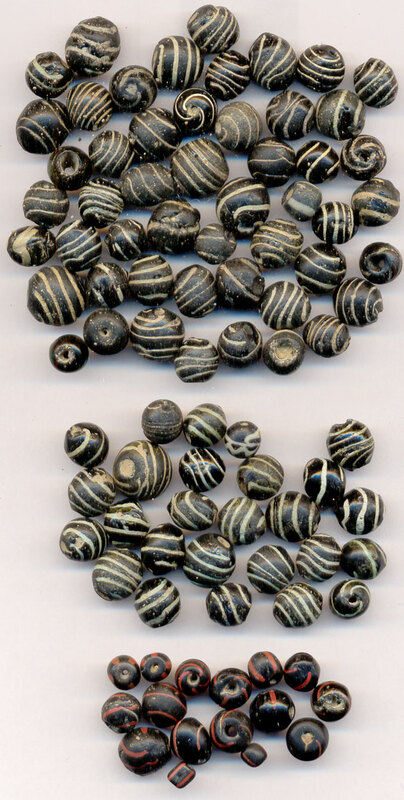 Note the similarity between these wonderful beads and the bead displayed in the low left corner of the illustration from the previous mentioned book "Indian Beads". A bead expert told me with absolute certainty that the beads displayed below with the red dot in the middle were from the Islamic Period 800 - 900 AD. 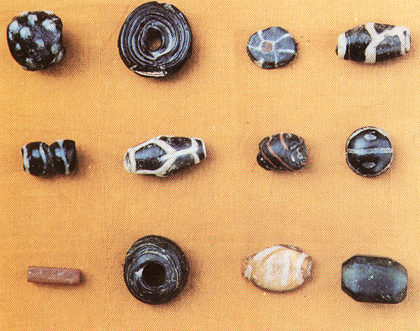 However - as you can observe in the illustration below from "Indian Beads" (p.142) an identical bead (no 3 in the upper row) was excavated in Kausambi (and Rajghat) from sites belonging to the Early historic period. 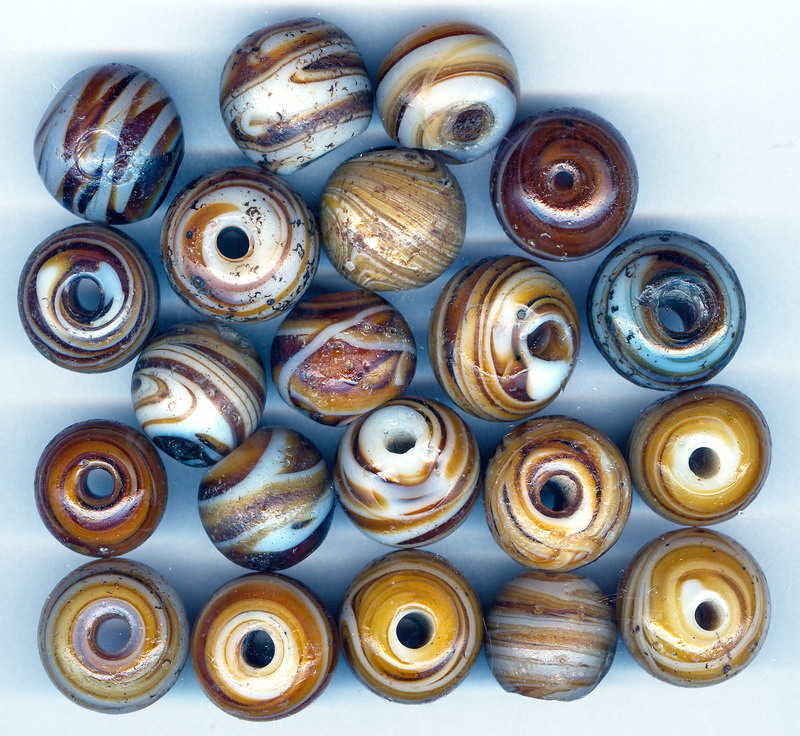 Why do I mention these different views on the origin of the beads displayed here? 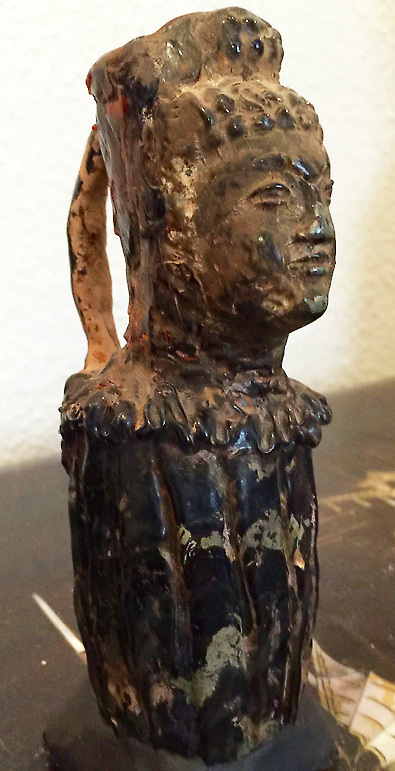 It is to highlight the uncertanity that always will be around ancient beads. 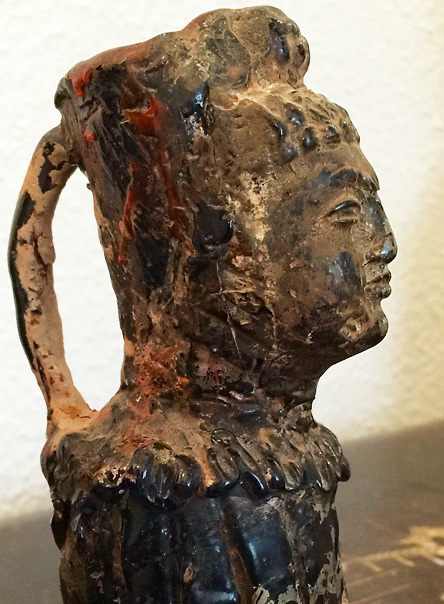 Where do the origin from? Are they genuine or copies? 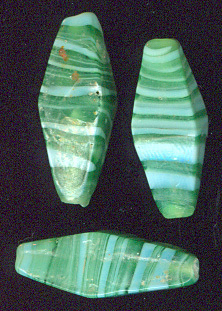 If you follow this link to the beadcollector.net you can see an interesting discussion concerning the small blue glass beads with the white stripes. Here the discussion is quite 'humble' in the sense that nobody advocates being in the possession of the absolute truth about these beads. 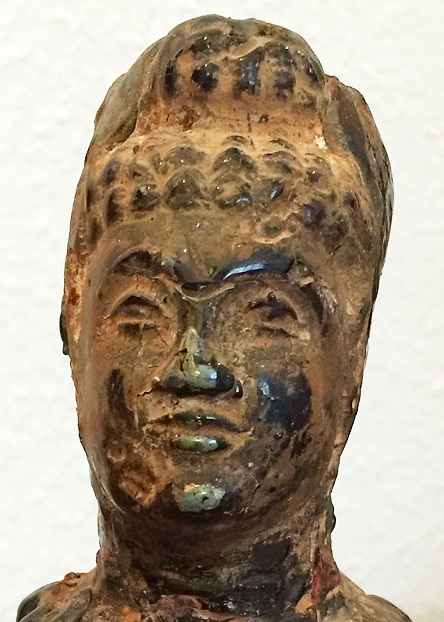 However as an outsider and self declared non-specialist in beads I must say that I sometimes get surprised concerning the absolute certainty in which certain kind of bead experts claim to know the truth. Why is it sometimes so difficult to admit that we sometimes simply don't know? 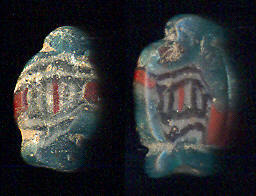 And what is more beautiful than a mystery bead? 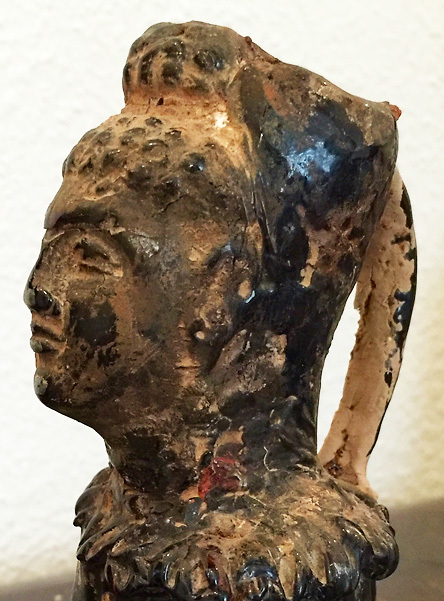 Early historic period - most probably Maurian - 300 B.C. - 100 A.D. 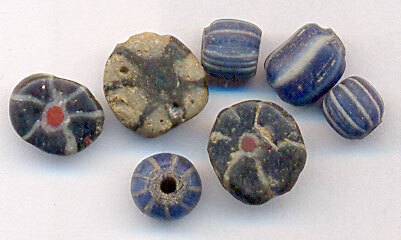 Colored glass beads from the Early Historic period B.C. This is of course not a glass bead. 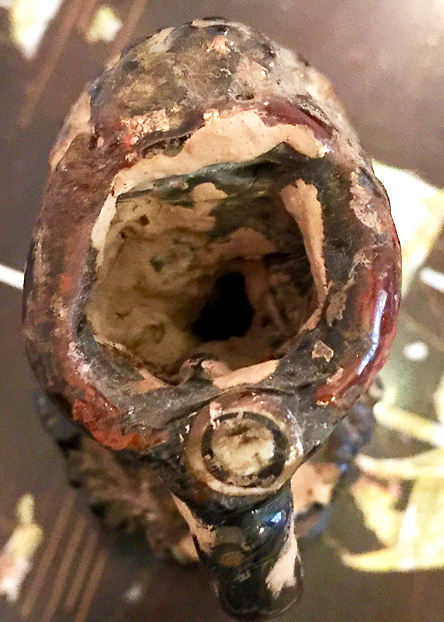 However I cannot help posting this mysterious and unique glass amphor here on ancientbead.com. My father got in Pakistan many years ago. 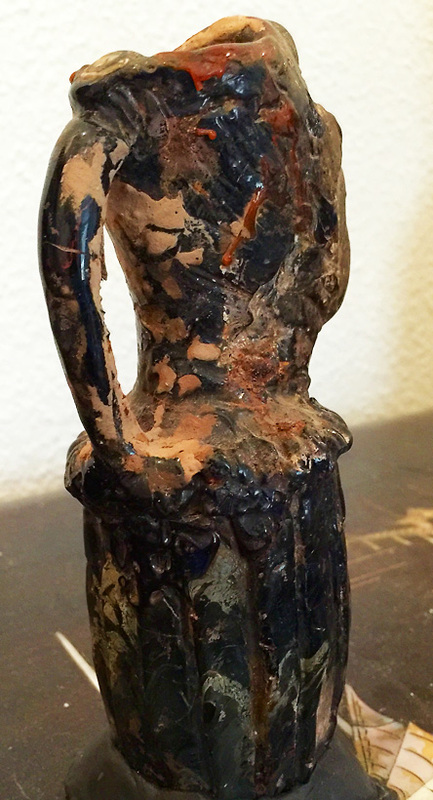 He was a sailor and I got my collector genes from him. 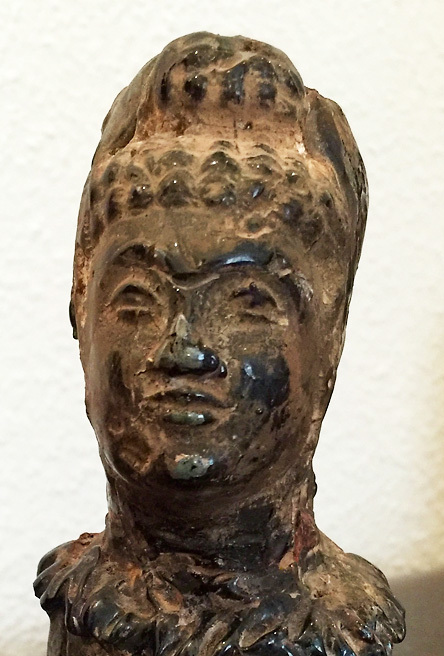 Dating: 200 BC to 100 AD?